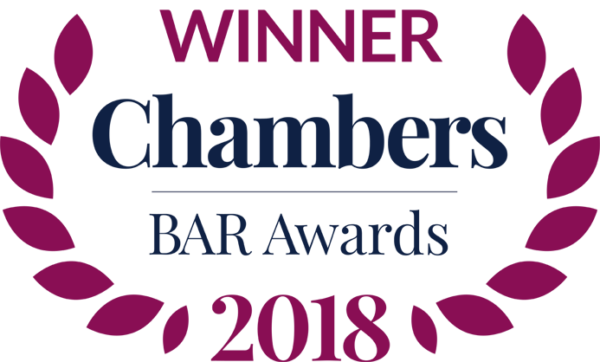 Monckton Chambers focuses on handling complex commercial and regulatory judicial reviews, often arising in the fields of transport, the provision of utilities, and taxation. It undertakes this work for claimants and defendants, and is rapidly developing its capacity to offer representation in public law matters concerning freedom of information, immigration, professional discipline and data protection. Many of its members are renowned for their expertise in EU law. Specialises in handling judicial reviews concerning the environment, and commercial and regulated industries. He is noted for his expertise in EU law. Recent work: Acted for a coalition of US environmental organisations in a challenge brought by US airlines to the lawfulness of the EU-wide carbon trading scheme. Acts for claimants and defendants in public law actions involving commercial regulators. He also handles cases concerning public bodies. Recent work: Defended a challenge to the dismissal of Sharon Shoesmith from the position of Head of Legal Services following the death of Baby P.
Specialises in public law matters concerning the environment, equality and discrimination. He also handles commercial and regulatory cases. Recent work: Acted for the Ministry of Defence in a judicial review challenge brought by the mother of a former Royal Military Policeman who had been killed in Iraq in 2003. The challenge concerned the refusal of the government to conduct an inquiry into the circumstances leading to the policeman’s death. Acts for a variety of regulators and central government departments. He demonstrates strength in cases concerning telecommunications, national security and discrimination. Recent work: Acted for the Serious Fraud Office in a claim brought by the property developers Robert and Victor Tchenguiz. The claim concerned their alleged involvement in the collapse of the Icelandic bank, Kaupthing. Draws on his expertise in international human rights law to appear in a variety of political and inter-state cases with a strong commercial element. He also handles highly confidential matters for Interpol and Europol. Recent work: Acted for Yukos Oil Company in an application to the European Court of Human Rights. The challenge concerned a tax re-assessment that resulted in the company’s liquidation. Renowned for his European Law, public procurement and tax expertise. He has undertaken a number of international disputes. A set that demonstrates almost unrivalled strength and depth in competition law. It is viewed as a top set for producing quality QCs and juniors, as well as up-and-coming barristers. Commentators note that the set is moving from strength to strength at the junior level, whilst maintaining its raft of proven silks. Sources highlight it as a chambers of choice due to the range of quality and the wealth of experience it offers across the entire spectrum of competition law. Viewed by peers and clients as a silk at the absolute forefront of the competition market. His formidable advocacy skills have recently been demonstrated in some of the most significant and complex cases. He is particularly adept at representing clients in cartel cases and follow-on damages claims. Recent work: Represented the claimants in a damages claim following the finding of an international cartel in copper tubing. The case is particularly notable as it established the rules on pleading and jurisdiction in international claims. According to many he is the best of the younger competition silks. He gains strong praise for his expertise in damages claims and his knowledge of the regulatory bodies. Recent work: Acted on behalf of Carbone as leading party in a follow-on damages claim that involved key decisions regarding the jurisdiction of the CAT to hear claims involving overseas companies. He is valued for his background in public and European law which translates well into the competition arena. Sources are quick to point out his pragmatism and his expertise in regulatory issues. Recent work: Lead counsel for BT in a challenge before the CAT and the Competition Commission to the way Ofcom regulated the broadband market. He is a particularly popular choice as lead counsel in follow-on damages actions, not least because of his outstanding litigation skills. His impressive expertise in sport law recently proved highly valuable in the competition cases relating to Sky Sports. Recent work: Represented two NHS bodies as claimants in a damages action relating to an alleged abuse of dominance, following the withdrawal and delisting of prescription drug Gaviscon. He has a broad practice and has experience of a whole spectrum of matters falling under European law. In the competition arena he has recently acted in several damages claims before the High Court. Recent work: Acted on behalf of the claimant Airparks Services, who alleged abuse of dominance by London Luton Airport Operations. One of the most experienced and longest-serving silks at the Competition Bar. He is universally valued by clients, regulators and peers for his advisory capabilities and his vast knowledge of the field. 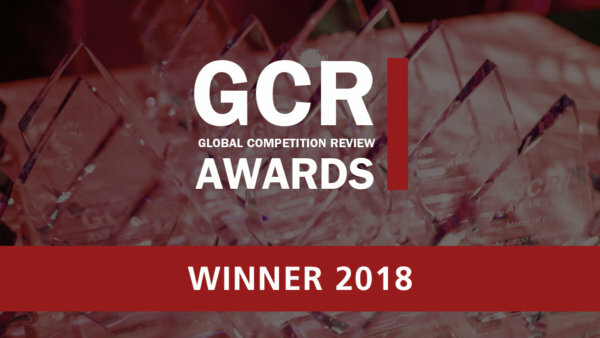 Recent work: Involved in the Competition Commission investigation into the auditing market in the UK. Viewed as highly deserving of her recent elevation to silk, she is routinely seen acting on behalf of regulators such as the OFT. Has also done several high-profile cases representing private clients, including Guardian Care Homes, which arose from the Libor fixing scandal. Recent work: Played a key role in representing the OFT in Tesco’s appeal against the dairy price-fixing decision. This was a four-week hearing in the CAT. Earns high praise as one of the most impressive senior juniors in the competition arena, and is highly valued for his familiarity with the European courts. Has recently worked on several of the leading competition cases in the IP and technology sector. Recent work: Acted for HTC in patent litigation against IPCom. This is seen as an important case for both competition and IP law, due to its impact on the definition of FRAND. A senior junior whose background as an economist gives him an edge in this field. He has recently played a very significant role appearing in a number of high-profile cases. Recent work: Advised Intercontinental Hotels Group in the OFT investigation into online hotel bookings following the allegation that discounts have been limited on rooms. A former solicitor advocate who offers a high level of commerciality and has an excellent ability to interact with clients. As such she is very popular with leading law firms. Sources note that she is particularly strong in competition cases in the pharmaceutical and healthcare sectors. Recent work: Acted for Cathay Pacific Airways in an appeal against the air cargo cartel and the fines subsequently imposed upon it as a result of the decision. The pairing of his competition and regulatory expertise attracts considerable work from clients in the telecoms space. He is also praised for his efforts in abuse of dominance matters and for his work with the regulators. Recent work: Represented the OFT in a case concerning investigations into Ryanair’s minority stake in Aer Lingus, which followed the EC’s blocking of a full takeover bid. He continues to act in several of the ongoing major competition cases. Experienced in both appeals and follow-on damage claims, he is widely viewed as a solid junior to have in the team. Recent work: Led by Jon Turner QC and Tim Ward QC in representing the claimants in a case concerning competition law and the recycling of light bulbs. Thanks to his previous role as a solicitor he has fast become a go-to barrister for merger work. Both clients and peers highlight his impressive experience in the area. Other recent work has involved competition appeals and private damages claims. Recent work: Advised on the first OFT review of a proposed merger between two foundation trust hospitals. Has a wide competition practice that encompasses all the major areas. Earns particular praise for his work on cartels and investigations at both the domestic and European level. Recent work: Represented the EC before the EU General Court in the various challenges made by airlines following the EC’s cartel decision. A popular choice either unled or as junior counsel particularly in damages claims. He has been involved in an impressive number of the most complex and high-value cases in that area. Recent work: Represented Siemens and Capital Meters in damages actions before the CAT following National Grid’s abuse of dominance in gas metering services. Has developed a reputation as a rising star at the junior level. Recently gained experience in some of the more demanding and complex follow-on damages cases. Recent work: Led by Paul Harris QC in representing the Scottish and Northern Irish health authorities in the high-profile damages action against Reckitt Benckiser. Has recently been led by some of the leading silks in the competition market. Viewed by clients as one to watch for the future, she has done several high-profile damages claims. Recent work: Acted for the appellants in BCL Old Co. Ltd v BASF plc, a case which involved key decisions on the timings of follow-on damages claims. Involved in some high-profile damages claims and abuse of dominance cases, he has recently been doing significant work within the pharmaceutical sector. He is also recognised for his additional expertise in telecoms. Recent work: Following on from the synthetic rubber cartel decision, he acted for four of the major tyre manufacturers in a subsequent follow-on damages claim. Former competition solicitor recognised for her commercial acumen. Primarily instructed by clients in the private sector. Considerable experience of the aviation industry, representing clients including the Civil Aviation Authority before both the Competition Commission and the CAT. Recent work: Acted for Ryanair in a dispute with Gatwick Airport over unpaid ground handling charges. The airline’s defence involved abuse of dominance points and EU aviation regulations. Singled out for his practical approach to competition issues. Frequently instructed by the main competition authorities including the OFT and the Competition Commission. His background in commercial litigation also attracts significant damages work. Recent work: Advised the Competition Commission in relation to its investigation into the merger of Akzo Nobel and Metlac, two companies in the metal package coating industry. Sources attest to his increasing profile in the competition arena. Recently he has acted on behalf of competition regulators, and also resisted appeals on behalf of the EC. Recent work: Instructed as junior counsel for the Competition Commission in successfully resisting BAA’s challenge to the decision that it had to sell Stansted airport. Well regarded for his expertise in construction law matters, particularly when it comes to procurement and tendering disputes. Recent work: He has acted in a dispute relating to the cancellation of a hospital project in Sussex. Practises extensively in this field, and also has a strong EU and public law practice. He represents both public and private bodies on a range of issues including the scope of ‘late exemptions’ under the legislation. He also advises on requests made to government bodies for information. Recent work: Appeared on behalf of the claimant in the Campaign for Clean Air London litigation, and also represented the Department for Business, Innovation & Skills in a matter concerning export licences. Appears regularly before the Information Tribunal on a range of matters, and represents a variety of clients, including the Information Commissioner and public bodies. Recent work: Instructed on behalf of the Information Commissioner’s office to establish that information concerning party donations requested by a member of the public was personal data for the purposes of the Act. Possesses particular experience in relation to requests for information, having dealt with such requests whilst in-house at Defra. She handles a range of matters pro bono, and appeared in the Campaign for Clean Air London litigation in such a capacity. Recent work: Represented the Information Commissioner in the First-Tier Tribunal in relation to a request for Cabinet minutes. Practises in this area and is active in public and EU law generally. He represents private and public bodies in this field, and clients include Defra, the CPS and the Environment Agency. Recent work: Acted on behalf of the Information Commissioner in Birkett v Information Commissioner and Others. Noted for his EU and competition law practice, and also handles environment cases. He acts for NGOs, individuals and corporations in environmental litigation and on judicial reviews. Recent work: He led a large team in a case relating to an alleged breach of the EU WEEE Regulations. The matter had environmental and competition law elements. A new silk with a strong reputation in environment cases, particularly those involving EU law. She has acted in a number of leading environmental challenges on behalf of NGOs, public bodies and private individuals. Recent work: She acted in Clientearth v Secretary of State for Environment, Food and Rural Affairs, defending a challenge heard in the Supreme Court concerning the government’s failure to comply with EU emission limits for Nitrogen. A well-regarded junior with a broad public law practice that encompasses environment law challenges. He acts for NGOs and campaigning groups, and is also instructed by the Environment Agency. Expertise: “He has a very genial approach but you have to be careful because he is much more ruthless than he lets on,” one peer commented. Recent work: He was instructed by the regulator in R (European Metal Recycling) v Environment Agency, a challenge to the Agency’s ability to issue suspension notices under the environmental permitting regulations. 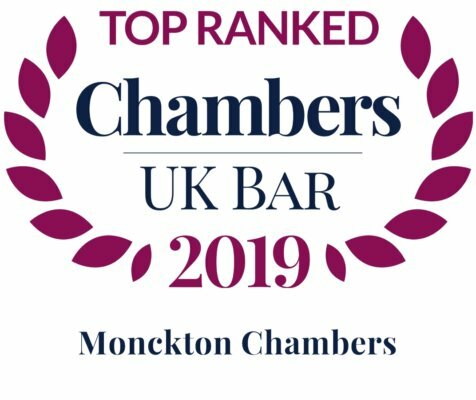 Monckton Chambers has EU law at its heart, both as a standalone focus and as a field in which many of its primary practice areas have their roots. It is little surprise, therefore, that the set is at the forefront of the market. Praised for having “a range of people of high quality,” it has depth of talent across all levels, ensuring that it receives a high volume of significant work. Sources are quick to confirm that individuals from the set are seen to be appearing with increasing frequency before both domestic and European courts. The variety and quality of casework that they attract speak volumes for the all-encompassing EU expertise on offer here. Praised for his wide-ranging knowledge of EU law, he is particularly applauded for his expertise in state aid matters. Sources value his seniority and experience, and are quick to stress his stylish advocacy and sharp insight into the European court system. Recent work: Acted for British Sugar in a challenge to a Commission Regulation on sugar levies. A popular figure who regularly acts as government counsel on matters before the European courts. He has made a number of recent appearances before the ECJ, and has a broad EU practice that encompasses wide-ranging issues such as terrorist sanctions and matters pertaining to aviation law. Recent work: Advised the UK on a leading case on EU sanction regimes. The matter involved sanctions imposed on individuals involved in the regime in Myanmar. Recent work: Represented a Libyan applicant before the Grand Chamber of the ECJ. The case concerned applications for annulment by listed individuals in terrorist sanctions cases in circumstances where they had been delisted by the UN Security Council. Praised for his effective litigation skills, he is viewed by peers as a formidable opponent when it comes to EU cases. He is often sought out by clients faced with complex and contentious cases, and has particular experience of appearing before the EFTA and ECJ. Recent work: He defended the Icelandic government before the EFTA Court in a case concerning compensation for those depositors who had lost access to their deposits following the banking collapse. A new silk whose diverse practice in areas such as competition and environmental law regularly touches on questions of EU law. Of late she has acted in a number of judicial review matters, and has handled cases concerning disability rights and discrimination. Recent work: Represented, unled, the Home Secretary in an appeal to the Supreme Court on whether EU disability discrimination law applies to volunteers. Has a vast amount of experience spanning the breadth of EU law. Has recently acted on a range of cases touching on free movement rights, discrimination questions and various tax levy issues. Recent work: Advised HMRC in BAA’s latest challenge to the UK Aggregates Levy under EU state aid rules before the Court of Appeal. Has recently appeared, unled, before the ECJ and EFTA. He is particularly adept at handling free movement of goods matters. Has also argued innovative points of EU law before the Supreme Court several times in a challenge to the denial of pensions. Recent work: Acted for the Council of Immigration Judges in an appeal to the Supreme Court concerning discrimination in judicial pension rights against part-time workers. Robert Palmer, although known for his work with TSol, he also acts for claimants and advises on the full range of immigration issues. Recent work: Defended the government in a claim brought by New London College following the withdrawal of its sponsor licence. Monckton Chambers is the premier set for procurement law due to the wealth of expertise its members provide and its formidable strength in depth. A number of the resident silks have an intimate knowledge of the sector having interested themselves in this area of the law from its inception. They are ably supported by juniors no less dedicated to the cause. Recent highlights include acting as counsel to the government in the widely publicised dispute concerning the West Coast Mainline rail franchise. Client service: “Whoever you get at Monckton, silk or junior, you get real expertise in public procurement.” The clerking team led by David Hockney is noted for its professionalism. Excels in high-profile and novel procurement challenges, and is held in the highest esteem for his excellent advocacy and commercial acumen. Recent work: He acted as counsel to the government during the dispute regarding the award of the West Coast Mainline rail franchise. Leverages his considerable experience in competition and European law to great effect in a number of procurement disputes. He acts for contracting authorities, tenderers and utilities. Frequently litigates in cases concerning novel or untested points of European law and garners praise for his commercial awareness. Often instructed as a lead barrister on her own, but also has a wealth of experience working alongside the set’s leading silks. She is highly regarded for her excellent written opinions. Recent work: She and Michael Bowsher QC acted for SBS, the private sector interested party in the Unison v NHS Wiltshire dispute. Has been instructed in a number of landmark cases, working in tandem with silks, and has also appeared in matters unled. He is a popular choice for public and utilities clients, as well as City law firms. Recent work: He was sole barrister representing the defendants in the widely reported case of The Newcastle upon Tyne Hospital NHS Foundation Trust v Newcastle Primary Care Trust. Clients benefit from his familiarity with central government proceedings. He handles a broad range of procurement instructions and is qualified to undertake direct access work. Recent work: Acting for Apollo Property Services Group in a challenge alleging a contract award to an abnormally low bid accepted by Circle Housing Group. Is the leading silk in sports law at the set and a man who enjoys a strong reputation at the Bar. He is particularly active in football-related matters, but has been further instructed on high-profile cases connected to the rugby, boxing, motor sport and horse racing worlds. He is strong on the commercial and regulatory side, and particularly brings his expertise in competition law to bear when undertaking sports work. Recent work: He was jointly instructed by The FA, the Football League, the RFU, the Rugby Football League and the European Golf Tour against Ofcom over the terms upon which Sky Sports should be sold. Has represented governing bodies, clubs, and individual sportsmen and women across a variety of sports matters. She has also been regularly instructed to act on media rights cases for broadcasters. Recent work: She represented Upul Tharanga against the International Cricket Council, and was successful in reducing the player’s ban for a doping offence from two years to three months. The presence of a group of “incredibly strong, talented QCs” and impressive juniors at this set means that it enjoys a fine reputation in the taxation field. It handles the most sophisticated of indirect tax matters, either on behalf of the taxpayers or for HMRC. As well as having deep expertise in VAT and other forms of indirect taxation, its members are well-established practitioners of EU law. As a result they handle complex disputes both at home and on the Continent, and have undertaken a significant number of recent cases before the ECJ. A VAT and customs duty expert, who acts both on behalf of private clients and the Revenue. He has had involvement in some of the EU’s most significant indirect tax cases. Recent work: He represented Lebara before the tribunal and the ECJ in a dispute relating to VAT as it applies to phonecards. A force to be reckoned with for the most sophisticated of VAT disputes, she has enjoyed success on behalf of clients ranging from major organisations to HMRC. Recent work: Acted for Vodafone in a dispute with the Maltese government questioning the legality of its imposition of a tax on telecommunications services. Litigates in a number of cases involving EU law as it relates to indirect taxation. He handles EU sanctions and missing trader intra-community (MTIC) fraud cases on behalf of companies, individuals, NGOs and HMRC. Recent work: He represented HMRC in a customs duty tribunal case against Honda regarding the definition of 4×4 all-terrain vehicles. Regularly represents the taxpayer and has experience working on behalf of some of the country’s most prominent accountancy firms. She has acted without a leader in the ECJ and Court of Appeal. Recent work: She acted against the Revenue in a high-value ongoing case surrounding the taxation of gaming machines. Earns praise for his effective client manner in VAT cases. He has expertise in EU law and has acted for HMRC in major VAT group litigation orders. He also advises private clients. Recent work: He handled an ECJ case on behalf of the Revenue relating to the entitlement of taxpayers to reduce the amount of VAT paid to take discounts into account. A specialist in VAT and indirect taxation cases. who regularly acts on behalf of the Revenue. Much of his activity takes place at the ECJ, and he has handled a number of significant VAT disputes. Recent work: He acted for the Treasury in an ECJ case considering whether the management of final salary occupational pensions was exempt from VAT. Focuses on VAT, excise and customs duties as well as other indirect taxes. The majority of his instructions come from HMRC, but he also advises private clients on VAT issues. Recent work: He represented the Revenue in an excise duty dispute against Carlsberg regarding the calculation of duty related to volume. 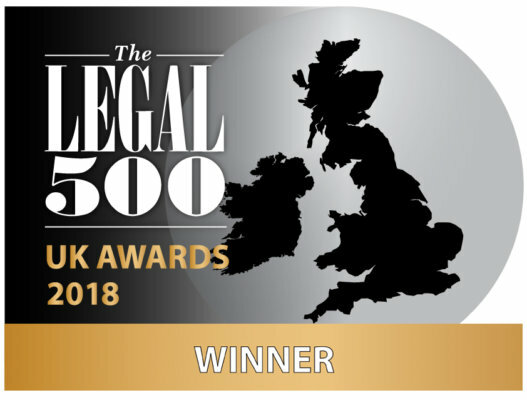 One of the most respected telecoms litigators, with experience of representing clients in the full range of disputes across this area. His roles in the two recent rounds of mobile termination price control appeals speak volumes for his reputation. Expertise: “One of the most impressive barristers around, who can make a silk purse out of a pig’s ear.” “Very intense and highly competent.” Recent work: He acted for Everything Everywhere, 3 and Vodafone in the 080 numbers interconnection disputes that resulted in a complete reversal of the CAT’s decision regarding Ofcom’s dispute resolution powers. Recognised particularly for his ability to understand the regulators’ mindsets. He is instructed by overseas and domestic clients both to provide opinions and to appear in court. Expertise: “He is very good at explaining complex issues to the court and making them accessible.” “Very flexible and highly tactical.” Recent work: He obtained a successful result for the Telecommunications Regulatory Authority of Bahrain in a landmark appeal turning on the treatment of and fine imposition upon leading operator Batelco. His telecoms expertise stems from his in-depth knowledge of public and European law. In the past year he has represented major fixed-line and mobile operators. Expertise: Known for the clarity of his submissions and the precision of his mind. Recent work: He appeared on behalf of the UK government before the ECJ in determining EU provisions concerning telephone directory services. Has established a fine reputation acting for regulators. Following stints working at both the ECJ and the EC, he has now become known as a skilled advocate who is active in both the CAT and Court of Appeal. Recent work: He advised Ofcom in an appeal made by BT and TalkTalk on the regulator’s decision to fix prices charged on competitors for the use of ‘local loop unbundling’ services. Relied on by major market operators looking to launch regulatory challenges against Ofcom. He additionally advises on competition issues and operational matters that exist between service providers. Recent work: Represented TalkTalk in a judicial challenge against Ofcom’s decision on BT’s provision of wholesale broadband services. Her extensive background in EU law has made her a favourite advocate for complex cases that demand rigorous statutory and directive interpretation. Recent dealings for Howard include licensing matters, market access restrictions and charging dispute cases. Recent work: She acted for Telekom Polska in a challenge against the EC’s authority to impose sanctions additional to those given by member states. Represents Ofcom as well as private sector telecoms operators. Regularly acts in competition disputes concerning broadcasting matters. Recent work: He has been acting for mobile network operator Everything Everywhere in a contractual claim brought by an Orange customer. Highly thought of among practitioners, who note his fast-growing reputation in this sector. His practice encompasses judicial review appearances and challenges against regulators. Recent work: He was part of the team instructed by the Secretary of State for Culture, Media & Sport to defend a judicial review on the Digital Economy Act 2010 initiated by BT and TalkTalk. Has sound knowledge of relevant statutes such as the Telecommunications Code and Communications Act. Acts in and advises on regulatory appeals. Recent work: He played a role in averting a challenge from industry rivals against his client Everything Everywhere’s launch of 4G mobile phone services.